A couple of days ago, I think (who can remember anymore with all the campaign things I've been up to) I opened up the mailbox and their it was! 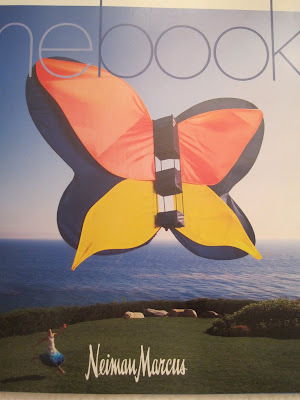 THE BOOK, now The Neiman Marcus Book is like the Sports Illustrated Swimsuit issue for my husband - he can look but can't have a single thing. It's the same for me and THE BOOK, I can look all day, but can not have a thing! One of the first things in THE BOOK to make me stop and want to ripe the page out was this watch. 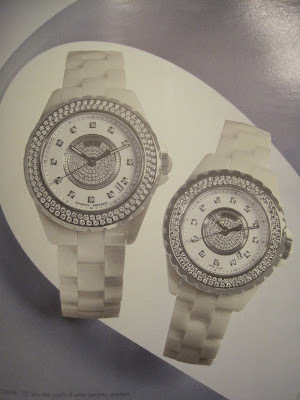 A Chanel bracelet watch, ceramic, stainless steel and diamonds. 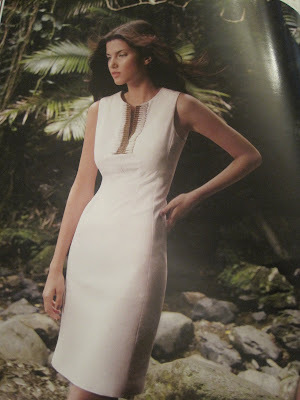 We could all have one for $16,750.00 (larger style) or $14,500.00 (smaller style). When I turned the page and saw this dress I knew immediately it was perfect for Douglas' debate tomorrow night, RIGHT????? Campaigning is busy work and I have to look good (Vote Cone). So, this beautiful Escandar would just be the best dress for me I was sure of it, till I read and saw it only comes in two sizes a 0 and 1, plus there was the $795.00. That's alot of campaign signs I could buy, or newspaper ads. I'm not positive but I bet my head is bigger than a 0 or 1. Finally something available in my size! But, once again the $525.00 would send my husband into instant cardiac arrest. 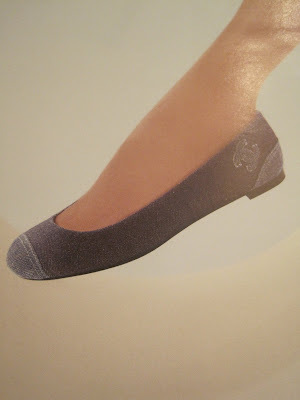 They are adorable, sweet little denim skimmers by Chanel (also available in black). Add a cute dress and great bag, perfect. Judith Leiber bags are more like museum pieces rather than actual evening bags. I'd probably drop it and ding it up or knock something off. Really I'm feeling bad for the person who had to put all those stones on that bag. Oh my goodness, they need to find that person for Maifest (a Brenham tradition). 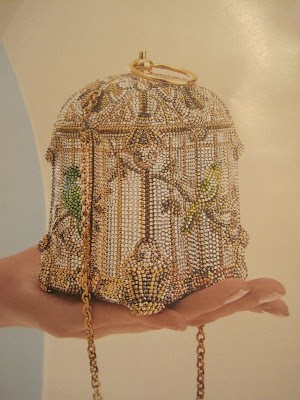 This particular bag "Golden Bird" is $5,595.00, and you could probably fit your cell phone and lip gloss in it. Aaaaaaahhhh, something I love, love, love! John Hardy is always on my list of wants. Absolutely my favorite jewelry designer. His jewelry can be worn everyday with jeans, or dressy. It's totally up to you. This is THE new crystal to have. 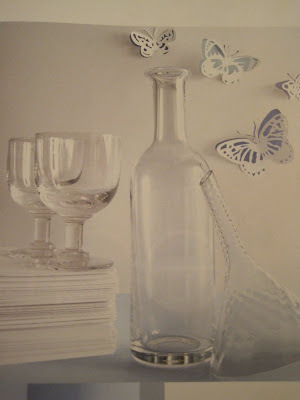 WILLIAM YEOWARD CRYSTAL, these particular pieces are from the Country collection. Simple, beautiful and really in right now. The wine carafe and funnel $100.00 and the two "Maggie" glasses $100.00. So, I know lately there have been no food post, and my blogging has been slow lately. But hang with me, I'll be back in full swing before you know it. Douglas is running for re-election (Justice of the Peace, Pct.2) and it takes alot of time and energy. All my time and energy has been going to get Douglas re-elected, it's so important to him, he loves every part of working for the county.